As the first Vietnamese Restaurant in Waco, we are delighted to celebrate the Vietnamese Lunar New Year – “Tet” Holiday – in a fully cultural dining night. 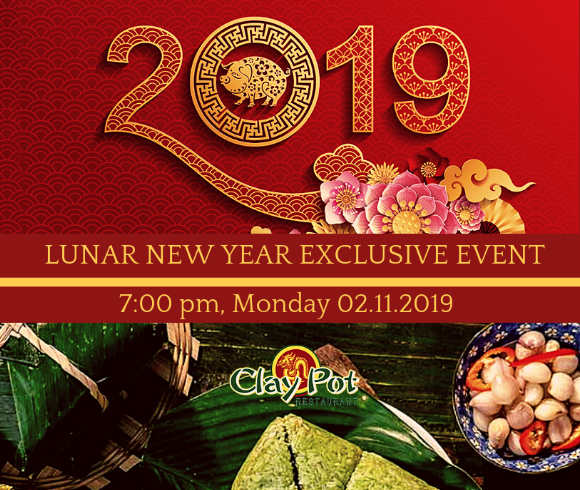 Please save the date of Monday, February 11, 2019 and come join us a night of traditional Vietnamese cuisine, colors and unique ambiance, and experience something you might have never done before! The event starts at 7:00 PM and you are welcome to come at 6:30 PM. Please bring your beloved ones to this special event. We would love to bring good luck and fortune to all of you in the next year, and you won’t want to miss it! Purchase tickets online or at Clay Pot Restaurant.